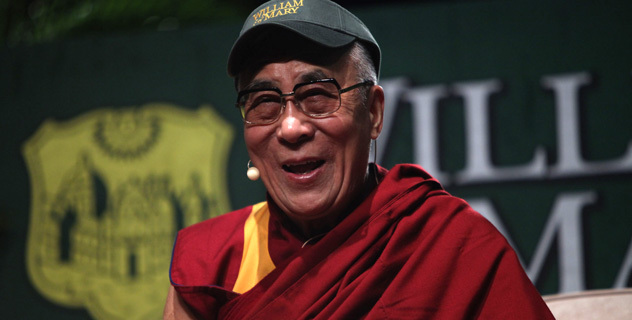 You are currently browsing the archives for the Dalai Lama 18 Lam Rim Mundgod 12 EN category. His Holiness the Dalai Lama: “From the beginning of our training it is important to train in ethics along with meditative stabilisation”. 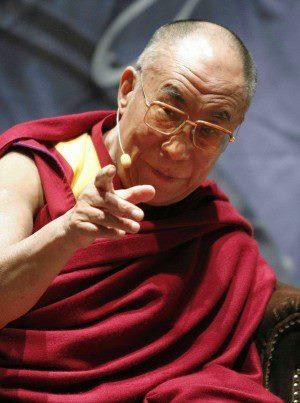 First part of His Holiness the Dalai Lama’s teachings November 30 – December 13, 2012 on the 18 Great Stages of the Path (Lam Rim) Commentaries, including Atisha’s “Lamp for the Path to Enlightenment (jangchup lamdron)”, Tsongkhapa’s “Great, Middling, and Concise Treatises on the Stages of the Path to Enlightenment (lamrim chenmo, lamrim dringpo and lamrim dudon)”, and 14 other classic Lam Rim texts at Gaden Monastery and Drepung Monastery in Mundgod, Karnataka, India, see and video here http://www.dalailama.com/webcasts/post/267-18-great-stages-of-the-path-lam-rim-commentaries. Translated from Tibetan into English by Mr Tenzin Tsepag. Trascript by Dr. Peter Lawrence-Roberts, first revision and editing by Dr. Luciano Villa within the project “Free Dalai Lama’s Teachings” for the benefit of all sentient beings. We apologize for possible errors and omissions. 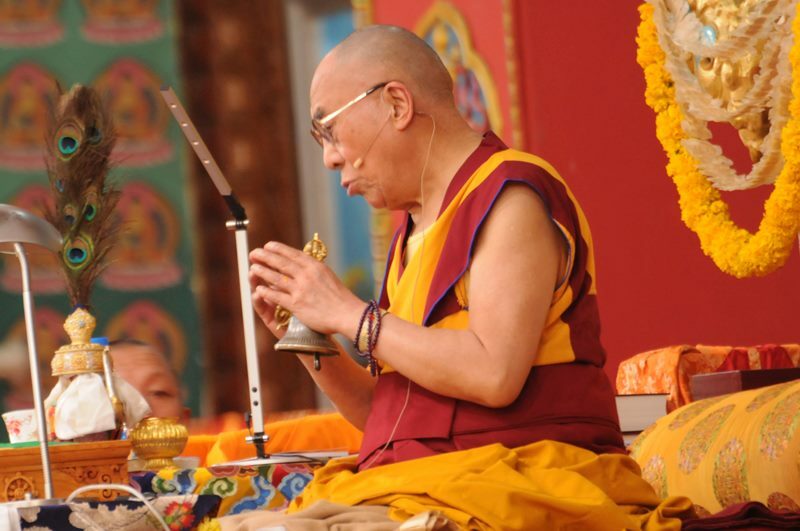 His Holiness the Dalai Lama: “It is important to combine study, meditation and reflection”. Second part of His Holiness the Dalai Lama’s teachings November 30 – December 13, 2012 on the 18 Great Stages of the Path (Lam Rim) Commentaries at Gaden Monastery and Drepung Monastery in Mundgod, India, see http://www.jangchuplamrim.org/ and video here http://www.dalailama.com. Translated from Tibetan into English by Mr Tenzin Tsepag. Trascript by Dr. Peter Lawrence-Roberts, first revision and editing by Dr. Luciano Villa within the project “Free Dalai Lama’s Teachings” for the benefit of all sentient beings. We apologize for possible errors and omissions. 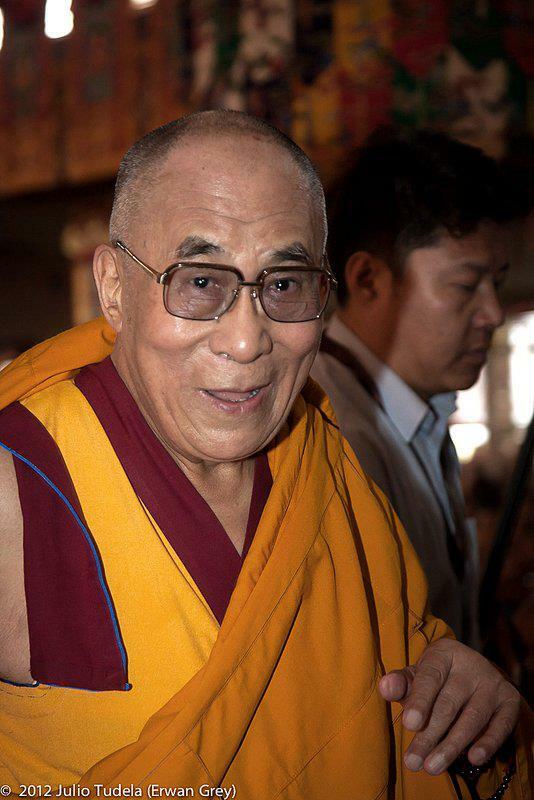 His Holiness the Dalai Lama: “Death is certain. The time of death is uncertain. Only our practice will help us at the time of death”. Third part of His Holiness the Dalai Lama’s teachings November 30 – December 13, 2012 on the 18 Great Stages of the Path (Lam Rim) Commentaries at Gaden Monastery and Drepung Monastery in Mundgod, India, see http://www.jangchuplamrim.org/ and video here http://www.dalailama.com/ Translated from Tibetan into English by Mr Tenzin Tsepag. Trascript by Dr. Peter Lawrence-Roberts, first revision and editing by Dr. Luciano Villa within the project “Free Dalai Lama’s Teachings” for the benefit of all sentient beings. We apologize for possible errors and omissions. Day 2 – 1 December 2012 and Day 3 – 2 December 2012. 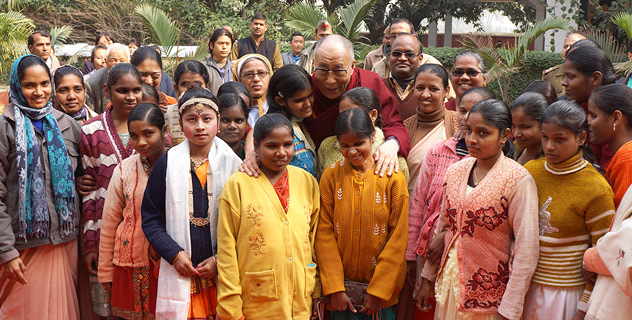 His Holiness the Dalai Lama: “If we can reduce self-centredness and cultivate an altruistic attitude this will reduce our stress and disturbing emotions and lead to a calm mind”. Fourth part of His Holiness the Dalai Lama’s teachings November 30 – December 13, 2012 on the 18 Great Stages of the Path (Lam Rim) Commentaries at Gaden Monastery and Drepung Monastery in Mundgod, India, see http://www.jangchuplamrim.org/ and video here http://www.dalailama.com/. Translated from Tibetan into English by Mr Tenzin Tsepag. Trascript by Dr. Peter Lawrence-Roberts, first revision and editing by Dr. Luciano Villa within the project “Free Dalai Lama’s Teachings” for the benefit of all sentient beings. We apologize for any possible errors and omissions. 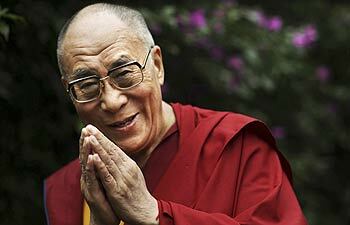 His Holiness the Dalai Lama: “The very reason that things perish and disintegrate is because they have a cause”. Fifth part of His Holiness the Dalai Lama’s teachings Nov. 30 – Dec. 13, 2012 on the 18 Great Stages of the Path (Lam Rim) Commentaries at Gaden and Drepung Monasteries in Mundgod, India, see http://www.jangchuplamrim.org/ and video here http://www.dalailama.com/webcasts/post/267-18-great-stages-of-the-path-lam-rim-commentaries. Translated from Tibetan into English by Mr Tenzin Tsepag. Trascript by Dr. Peter Lawrence-Roberts, first revision and editing by Dr. Luciano Villa within the project “Free Dalai Lama’s Teachings” for the benefit of all sentient beings. We apologize for any possible errors and omissions. 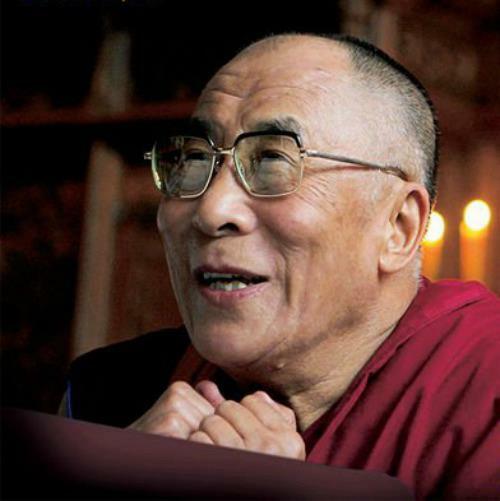 His Holiness the Dalai Lama: ”We need to practice with the aspiration to become a bodhisattva for without this it is impossible to become a Buddha”. Sixth part of His Holiness the Dalai Lama’s teachings Nov. 30 – Dec. 13, 2012 on the 18 Great Stages of the Path (Lam Rim) Commentaries at Gaden and Drepung Monasteries in Mundgod, India, see http://www.jangchuplamrim.org/ and video here http://www.dalailama.com Translated from Tibetan into English by Lotsava Tenzin Tsepag. Trascript by Dr. Peter Lawrence-Roberts, first revision and editing by Dr. Luciano Villa within the project “Free Dalai Lama’s Teachings” for the benefit of all sentient beings. We apologize for any possible errors and omissions. Day 4 – 3 December 2012 and day 5 – 4 December 2012. 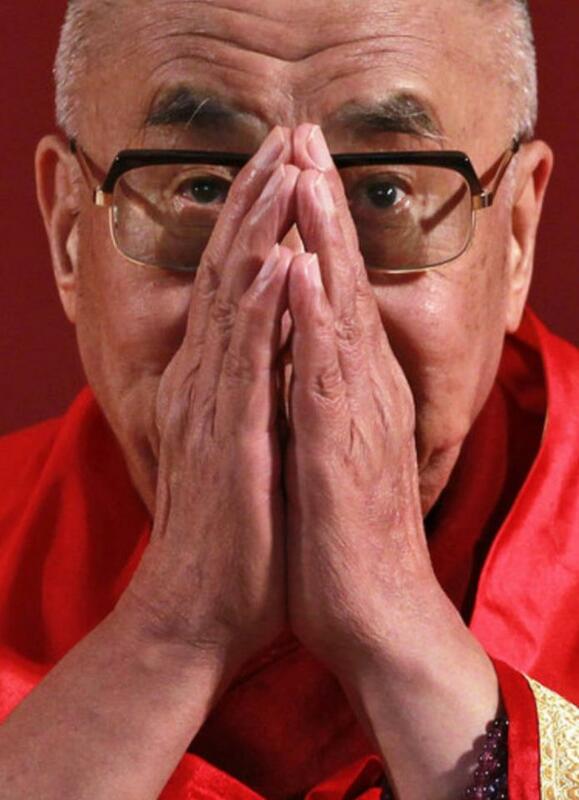 His Holiness the Dalai Lama: ”Patience protects that which is most precious in the world from the dangers of anger”. Seventh part of His Holiness the Dalai Lama’s teachings Nov. 30 – Dec. 13, 2012 on the 18 Great Stages of the Path (Lam Rim) Commentaries at Gaden and Drepung Monasteries in Mundgod, India, see http://www.jangchuplamrim.org/ and video here http://www.dalailama.com/ Translated from Tibetan into English by Lotsava Tenzin Tsepag. Trascript by Dr. Peter Lawrence-Roberts, first revision and editing by Dr. Luciano Villa within the project “Free Dalai Lama’s Teachings” for the benefit of all sentient beings. We apologize for any possible errors and omissions. 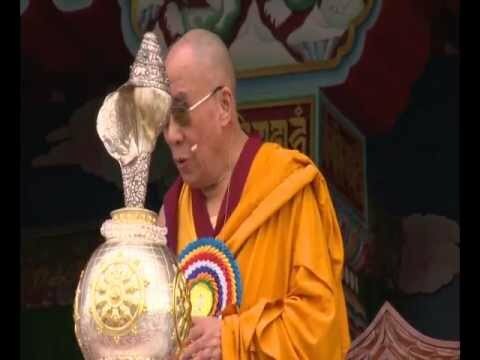 His Holiness the Dalai Lama: ”When laxity, lethargy or excitement are setting in we need to be aware of this and use vigilance to prevent them developing”. Eigth part of His Holiness the Dalai Lama’s teachings Nov. 30 – Dec. 13, 2012 on the 18 Great Stages of the Path (Lam Rim) Commentaries at Gaden and Drepung Monasteries in Mundgod, India, see http://www.jangchuplamrim.org/ and video here http://www.dalailama.com/ Translated from Tibetan into English by Lotsava Tenzin Tsepag. Trascript by Dr. Peter Lawrence-Roberts, first revision and editing by Dr. Luciano Villa within the project “Free Dalai Lama’s Teachings” for the benefit of all sentient beings. We apologize for any possible error and omission. Day 7 – 6 December 2012 and day 8 – 7 December 2012. Dependent origination does not mean the non-existence of things that perform functions. It simply means that they exist dependent on causes and conditions. Ninth part of His Holiness the Dalai Lama’s teachings Nov. 30 – Dec. 13, 2012 on the 18 Great Stages of the Path (Lam Rim) Commentaries at Gaden and Drepung Monasteries in Mundgod, India, see http://www.jangchuplamrim.org/ and video here http://www.dalailama.com/webcasts/post/267-18-great-stages-of-the-path-lam-rim-commentaries. Translated from Tibetan into English by Lotsava Tenzin Tsepag. Trascript by Dr. Peter Lawrence-Roberts, first revision and editing by Dr. Luciano Villa within the project “Free Dalai Lama’s Teachings” for the benefit of all sentient beings. We apologize for any possible error and omission. Day 8 – 7 December 2012 and day 9 – 8 December 2012 . 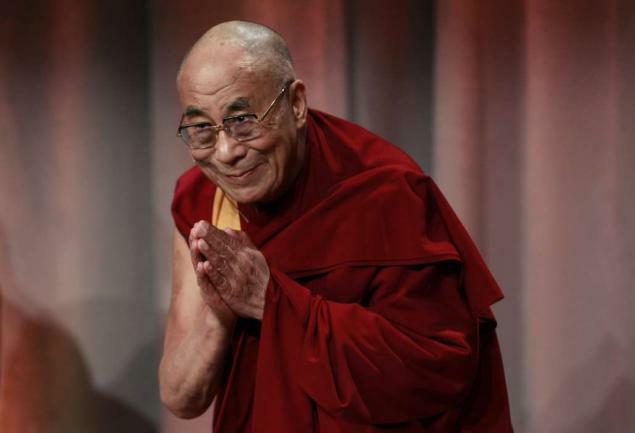 His Holiness the Dalai Lama: ”Things have to arise from their causes and conditions. So a rice seedling has to arise from a rice seed. ”. Tenth part of His Holiness the Dalai Lama’s teachings Nov. 30 – Dec. 13, 2012 on the 18 Great Stages of the Path (Lam Rim) Commentaries at Gaden and Drepung Monasteries in Mundgod, India, see http://www.jangchuplamrim.org/ and video here http://www.dalailama.com/webcasts/post/267-18-great-stages-of-the-path-lam-rim-commentaries. Translated from Tibetan into English by Lotsava Tenzin Tsepag. Trascript by Dr. Peter Lawrence-Roberts, first revision and editing by Dr. Luciano Villa within the project “Free Dalai Lama’s Teachings” for the benefit of all sentient beings. We apologize for any possible error and omission. Day 9 – 8 December 2012 and day 10 – 9 December 2012. 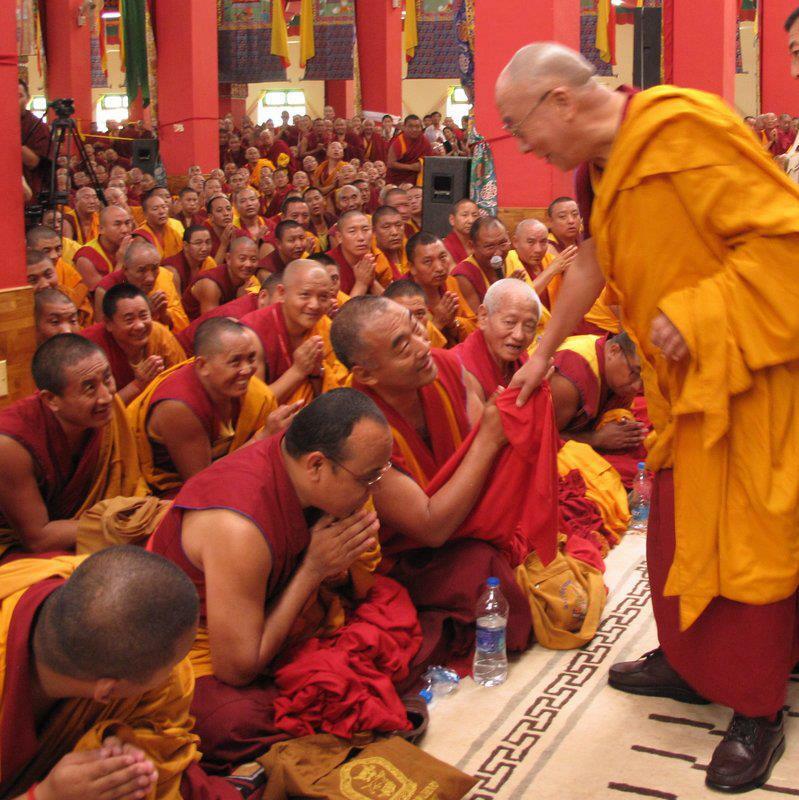 His Holiness the Dalai Lama: ”Studying the root texts of the Nalanda masters is the best way to preserve the Nalanda tradition, which is at the root of Tibetan Buddhism”. Eleventh part of His Holiness the Dalai Lama’s teachings Nov. 30 – Dec. 13, 2012 on the 18 Great Stages of the Path (Lam Rim) Commentaries at Gaden and Drepung Monasteries in Mundgod, India, see http://www.jangchuplamrim.org/ and video here http://www.dalailama.com/. Translated from Tibetan into English by Lotsava Tenzin Tsepag. Trascript by Dr. Peter Lawrence-Roberts, first revision and editing by Dr. Luciano Villa within the project “Free Dalai Lama’s Teachings” for the benefit of all sentient beings. We apologize for any possible error and omission.